There is a branch of Wicca that has been growing steadily, It is a very little known branch called Draconic Wicca. It is the utilization of the powers of dragons. They work with these dragons in the same way most other Wiccans work with the Gods. In doing so, they have to deal with the unique personalities of each type of dragon. The dragons have no real hierarchy other than age, except for the case of ‘The Dragon’. The Dragon is the combined powers of the God and the Goddess. 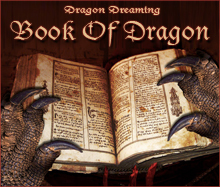 The Dragon is invoked or evoked during Sabbats and in times when great magic is needed. Invoking means to call into you the power of the dragon that you name i.e. a fire dragon. You ask that this dragon assume himself/herself into your spiritual body. To evoke means to call a dragon to you, to join you in your magical workings. In almost every culture, in almost every place, there are stories of dragons, most of them too old to know it’s origin. Dragons, the gigantic, fast, strong and wise lizards as told in myths. Beasts so fierce that would destroy all near them. Some of them could fly, some with various heads, some could breath fire, all being Dragons. In Greek, draca means serpent meaning also with the same terms of the idea of great visibility, one characteristic common in dragons was born between and within fire and darkness… no other creature had been so powerful and wise.. that’s what is known to be a Dragon. In the Babylonian myth the the first dragon was Yaldabaoth, although is also called Tiamat so Yaldabaoth grown up and made some more like her Nagamat, Kaliyat, Orkus, Tarasque and Serpens among others…, that was what Micael Green says, he translated from an old script. Tiamat was a Babylonian Dragon being personification of the sea mainly(salt water), and portrayed as the mother of all Dragons and daugther of Chaos; she appears in the creation myth, Enuma Elish:Tiamat lived in the primordial chaos that existed before the creation of the world. She mingled with Apsu ( a personification of fresh water), and the first generation of gods was born.One of these gods, Enki or Ea killed Apsu.Tiamat wanted to avenge Apsu by destroying the gods. She gathered an army of monsters and 11 Dragons.The older gods were so terrified when they saw Tiamat, and her army, that they accepted the offer of the young god Marduk. He offered to kill Tiamat on the condition that his supremacy was recognized. Marduck killed Tiamat in battle and used her body to make the universe. He used the blood of Kingu, leader of Tiamat’s army and her second husband, to make mankind. The Dragons population grew, they were so much and with so many differences among them that they were divided into various categories.This does not mean that some were better than others; It was a more efficient way to study them. In fact this division, was not the only one… Some divided Dragons into 5 categories based on their location and appearance (draconis teutonica, draconis galli, draconis albionensis, draconis bipedes, draconis cappadociae and draconis sinoensis), some based on the elements (draco flamma, draco glacies, draco terra among others), and some based on their colours. In some cultures (such as Chinese) is also mentioned about celestial heaven Dragons. The oriental Dragons, most of them from the ancient China. There are nine major types of Chinese dragons, attributed to the nine Dragon sons that were worshiped and made into idols. Supposedly this nice, were the sons of the four Dragon kings, Ao Shun, Ao Ch’in, Au Jun and Ao Kuang. The nine type of horned Dragon, the winged Dragon, the celestial Dragon ( which generates wind and rain for the benefit of mankind), the dragon of hidden treasures (which keeps guard over concealed wealth), the coiling Dragon ( which lives in water ), and the yellow Dragon ( which once emerged from water and presented the legendary Emperor Fu Shi with the elements of writing). These Dragons, share the same way of living. They are never changed from one place, staying in their own territory. Most of the Chinese Dragons have different lengths, some legends told about the great Chien-Tang, witch was a red Dragon, his back was fire and his eyes shined as the sun, this wonderful creature, from tail to head was more than 984 feet long. For the Chinese people, Dragons were described visually as a composite of parts from nine animals: The horns of a deer; The head of a camel; The eyes of a devil; The neck of a snake; The abdomen of a large cockle; The scales of a carp; The claws of an eagle’ The paws of a tiger; And the ears of an ox. The Chinese word for Dragon is spelled out in roman characters as either Lung or Long. In China, the Dragon was credited with having great powers that allowed them to make rain and to control floods (by striking the river with its tail, causing it to open and thus divert the floodwaters) also Dragons are credited for transportation of humans to the celestial realms after death. In China, Dragons are symbols of the natural world, adaptability, and transformation. When two dragons are placed together but turned away, they symbolize eternity via the famous Yin-Yang. The Royal Court Of The Dragon was established in Egypt in 2170 B.C. under Ankhfnkhonsu, and more formally by Queen Sobeknefru in 1783 B.C. to provide an instituation for the pursuit of the work of the Dragon of Al-Khem otherwise known as Thoth or Hermes. From Al-Khem we have alchemy, the Great Work of the Dragon. The most famous books attributed to him are The Emerald Tablets and The Pymander. Part of the Emerald Tablets of Thoth talks about reptiles, specifically shape shifters. Reptilians were/are able to shape-shift between the forms of Humans and Dragons and so forth…Dragons, the oldest living creature, have been here through the human history. There had been many legends and manuscripts about these wonderful creatures. One of the most famous literature about Dragons is Beowulf, the medieval story of a brave Knight and a Fire Dragon. This story of Beowulf and the Dragon was written in old English, Beowulf survives in only one manuscript copied around 1000 A.D. This manuscript is now at the British Library, London. From the Christians we also got about Saint George and the Dragon. There was a town near the are of Cappadocia, where a Dragon lived. The town people often made sacrifices of their sheep to calm the Dragon; until the sheep ran out and by a lottery the princess of the town was chosen to be the next sacrifice for the Dragon. George took pity on the princess fate and slayed the Dragon. Also there are myths that the dragon which Saint George prevailed over was none other than Dadianus. The ancient texts which related the story of Saint George’s miracles, tortue and deaths frequently call Dadianus a serpent or Dragon. Some ancient writers then either over looked the fact that Dadianus was a man, or decided that his treatment of St. George was so infamous that only a picture of the traditional dragon would represent him accurately. As far as the damsel is concerned, it is believed that she represents Queen or Princess Alexandra. She was Dadianus’s wife and was also a agan until being converted to Christianity by George. The Concept of Dragons in Celtic mythology comes directly from the Holy Crocodile, Messeh, from the ancient Egyptians. The Pharaohs were anointed with crocodile fat, and attained the strength of Meseh. The image of Meseh evolved to become a Dragon, which became the emblem of Kingship. ( The world Messeh comes from ‘Messiah’ that means to anoint ). Also Messeh, the holy crocodile, evolved into what we know as Sobek in Egypt (crocodile god, son of Neith) and Suchos in Greek. In the Mexican culture (just to name one) we find Quetzalcoatl, the Feathered Snake. One of the major deities of Aztecs and Toltecs (among other middle-American civilizations). The winged Serpent, or a Dragon that only had wings and his body covered with feathers. Quetzalcoatl is the creator sky-god and organized the original cosmos and participated in the creation and destruction on various world periods. Also for the Aztecs, a symbol of death and resurrection and patron of priests. For one theory of the fire breath of the Dragon. The breath of a Dragon is not a magical thing that spread out of nowhere, but had a scientific explanation. When humans eat, their body by digesting create a gas known as Methane, Dragons unlike humans store this gas into another kind of lung that will serve as a bag ( to say it that way ) to hold the gas that will be late mixed with a small amount of Phosphor that has propriety to ignite in fire at the contact of air, O2. When the Dragon wants to breath fire, the methane is released into the lung and when the gas is in the air, the phosphor ignites and also puts the methane in fire. 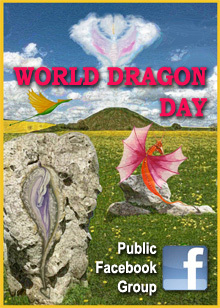 Bronze Dragons originally dwelled in mountan caves or subterranean lairs. They’re the source of the mythos about dragon’s hoarding treasure, but as with most things it isn’t quite what it seems. Bronze dragons love weath but their definition of wealth is the wealth of the abundant land, lush green forests, sparkling waterfalls, flower sprinkled meadows. They are by their very nature ecologists. They can also be eco-terrorists if they feel their land is being destroyed. They can wreck any level of havoc when they’re upset but one of their favourite things to do is take back all the gold and silver and jewels they can find. After all it came from either “their” land or the land of a brother or sister dragon if people value those things more highly than nature why what else is a poor dragon to do to get some attention? Feburary 16th – The Dragon parade celebrating Chinese New Year. The Oriental Dragon Nian was a little dragon that came to the Villages of China in the Han times… But just by accident one of the villages discovered the Nian had a few fears of his own. He was afraid of the colour Red. Which is why the Chinese believe red to be the colour of luck, joy and happiness. At midnight of the Chinese new year firecrackers, paper dragons, noise makers and the waving of red ribbons are waved around to help drive away any lingering spirtis of evil dragons like Nian. March 3rd – Alexander Graham Bell – The patron Saint of all Copper Dragons. Copper Dragons are native to the red rocks of Sedona, but unlike humans who now visit to feel the vortex, the copper dragon has moved to the city where they have proliferated in large numbers. Their preferred lair is the wiring closet of any large building and the largest of them usually take up their residence in the local C.O (Central Switching Office) of the phone company. Rainbow dragons are relatively small on the scale of Dragons and are very often mistaken for faeries. They have the special property of being able to breath a cloud of flower scented mist at friends and foe alike (some flowers actually stink which will repel a foe). April 8th – Fire Dragon Day of the Fire Dragons. This day always falls on the last Sunday before the sign of Taurus. It’s a day to honor the power of fire by lighting a dragon candle or other such thing. Ch’ien represents what is great, the creative penetration of the correct, the firm and the advantageous. Through heaven above and below we understand the relationship between the beingging and the end. Each of the six lines reaches it’s accomplishment at the appointed time. They mount the chariot drawn by these six dragons at the proper hour, and drive across the sky. The Dragon boat festival is a Lunar holiday. The boat festivals are traditional customs to atempt to rescue the patriotic poet Chu Yuan. Chu Yuan drowned on the 5th day of the 5th lunar month in 227 B.C. Dragon Boats feature the head and tail of a dragon, a creature regarded by the Chinese to have dominion over the waters and exercising control over rainfall. He appears in the desert at high noon. His body is transparent ruby red, and his is surrounded by a cloud of fire like the teardrop shape of a candle flame. His gift is a sword of bright flame, the Sword of Truth, encased in a crystal sheath. The Nwyvre and his gift lie at the heart of the dragon myths in the west. In order to master the gift of the Flaming Sword of Truth one must enter into the Way of the Warrior. Once the sword is unsheathed one must do battle with the dragon flame or it will gain control and cause great harm to the knight who so arrogantly drew the blade when he or she wasn’t ready. Look out! It’s the Festival of the Tarasque wherein a man-eating monster charges down the streets of it’s name sake city in France snapping at people… Doesn’t sound quite as cuddle as Godzilla or Mothra. The old festival, commemorates the capture of the beast for which the festival is named, a fire- breathing dragon type thing. A dragon fload is paraded through the streets of the city and touched by attendants for good luck. They are smaller in size than your “typical” dragon and are attracted to the warmth of the hearth and feelings of love and good fellowship. They generally take up residence in the fireplaces of a home and are often mistaken for Salamanders. They are a sky dwelling race. Some will make lairs in cloud shrouded caves but most will always have their lairs on floating cloud islands. it is very hard to distinguish cloud dragons from the clouds around them because they can take on a cohesive gaseous form at will. While in this form the only form of attack or self protection available to them are spells that are weather or wind based. One special spell they have is called Cloudburst. it takes all water from a cloud and compresses it into a mass rain thta can extinguish all magical and normal fires. Cloud dragons look like fringed and frilled gold dragons. Coloration depends on surroundings and mood, ranging from dark gray (angry) to pure white (neutral), or golden rose coloured (very pleased). Air dragons are very often mistaken for angels. They slip easily into either human form or virtual invisibility and people who encounter them are often left with the impression they’ve just met an angel. For some reason that’s easier for people to accept, than they’ve just met a dragon who was a human who was a dragon… Claivsolais teaches a special practise that is associated with two of the nine elements. Oriental dragons control the weather, wind and rain… Air Dragon day is to pay homage to these magnificant beings who rule our skies. Deep in the Earth the Dragon Mother lives. She is the first mother, she who existed before all things. Some know her as Tiamat. An annual Druidic festival known as the Feast of the Musicans which in the green rose tradition is dedicated to the dragon Laochgael. This is a day to spend listening to music. Listen to a peice you normally wouldn’t be able to understand. And with Laochgael in your heart he will help translate it. Gagreine is the one to approach if one wants to understand that nature of time. Gagreine can teach many things, the trick to remaining youthful, the trick of measuring time in your own manner so that we have a lot more control over our lives. Celebrate the light and warmth of Gagrenie the Sun dragon. These are cute little dragons about the size of a fat cat or of a small dog. These are playful dragons and are fascinated with music and happy times. Guardian dragons are not attached to watching your home per se, they are more attached to you. They fend off unwanted visitors and add their magic to your rituals. They are not the smallest of dragons, but they are generally the youngest. Are the smallest of dragons that I know of. Just like faeries, they can only be found when they want to be. These are the tricksters of dragons. They take great joy in altering images to fool you. I suppose you could say that they are illusionists. These dragons are drawn to flowers, especially roses, where they like to sit. Are just that. There are fire dragons, water dragons, earth dragons, and air dragons. These dragons can be quite unpredictable at times. They are very powerful and deserve great respect. They are the most unpredictable of the dragons. These dragons are in no way “evil”. The come from the land of negative power. All magic is performed with them must be very carefully thought out. You see they are not bound by our limited sight. If you are having a problem that you need solved, they will find the source of the problem and fix it. The results that they achieve are usually not the ones that you first intended. These dragons are not for the novice! Dragons have different shapes and sizes when it comes to their bodies. They can be very small to enormous, typical type of body or an unusual type of body. There are some characteristics that are common to all Dragons as in all have scales and a tail, those too might differ slightly but are common. We all know of the common western dragon with 4 legs, tail, scales and sometimes horns, spikes and barbs. Not all western dragons have wings, but most do. They come in different colours depending on their species, habitat and clan. E.g. It’s uncommon you’ll find Blue dragons in a desert. There are also dragons that have hair, and feathers. When a dragon with these features is spotted you’ll notice many other differences. You’ll even ask yourself if this is a dragon or not… It’s very uncommon for dragons to have feathers instead of scales but there’s a possibility the reason for this could be magical. Dragon’s aren’t born with feathers or hair; it’s later developed or usually the result of a magical act. The hair on dragons has spread wide though as they bread more and more dragons are developing strange features. It’s still rare to see these types of dragon but it’s becoming more common. The Oriental Dragons are known to have hair, and this is a sign of wisdom. Though, I can’t see the possibility of a Oriental dragon mating with a Western, if it happened at all that would be another possibility to consider as how dragons started to grow hair. It’s even uncommon for clans and species alone to mix, although it has happened dragons usually like to stick to their own kind. E.g.… A fire dragon would not mate with a water dragon. Some people see rainbow-coloured dragons. Dragons that aren’t only one colour. This to can be a sign of inbreeding. If a fire dragon mated with a mountain dragon you could end up with a pink dragon. I’m not saying it’s certain, I’m just saying it could happen. Red + White = Pink. This could be why some dragons aren’t all one colour. Here are the basic body shapes and sizes, and the name of each one. Wyvern – ranges from 10 to 30 feet from ground to shoulders in height, the body is proportionate to it’s height, has only two hind legs, wings as their second set of limbs, long neck the length of the body ending at a narrow shaped head with long snout that comes to a point, typically they are a lot like birds in that they use their set of legs to hold down prey and rip it apart with its mouth. Amphiptere – having a body like that of a snake being from 15 to 45 feet long, they have no visible legs but instead have small wings where legs would be if they had them, the end of the tails are more oval shaped and have skin that comes off of it for directional control, these are an more aquatic dragon so they use the wings as flipper to move through the water, their main source of food are fish and other sea animals. Guivre – having both front and hind legs, wings that are spiked along the outer edge, short necks that end in a boxed shaped head with short snout, ranging from 5 to 10 feet in height and 12 to 48 feet long, they borrow in the ground and use their claws to dig and the spikes on their wings to move through the ground, main source of food is any underground creature or easily caught land animal. Wyvre – being similar to both a Wyvern and a Guivre they have hind legs and wings, what they differ in is that their wings are attached to front legs that are like arms with hand-like claws on the tips, this being similar to that of a bat, having a long neck ending in a rectangle shaped head, their bodies being enormous in size, ranging from 20 to 60 feet at the shoulders, the end of its tail has porcupine type quills, they spend most of their time in deep caverns away from everything else and survive by eating cave dwelling creatures. Hydra – having a body similar to a Guivre, their differences are that they have large wings, and anywhere from 2 to 5 long necks and heads, the size of them is from 20 to 60 feet. Watcher – this is the smallest of them all, they range from 6 to 12 inches in height, they have bodies proportionate to their height, they have both front and hind legs and wings that attach at the shoulders. Air governs the eastern quarter of the circle and of the universe. Its Dragon ruler is Sairys (sayr’-iss). Its color is pure yellow and is thought to be warm and moist. Positive aspects are: sunrise, spring, incense, wand, bell, clouds, breezes, breath, optimism, joy, intelligence, mental quickness, renewing. Negative associations are: frivolity, gossip fickleness, inattention, bragging, forgetfulnes, windstorms, tornadoes, hurricanes and the like. Fire Rules the south quarter of the circle. Its Dragon ruler is Fafnir (faf’-neer) who oversees the Dragons of Fire and the sunbeams. Its color is pure red and is warm and dry. Fire is: noon, summer, the dagger and sword, candles, incense burner, the sun, blood, laser surgery, enthusiasm, activity, change, passion, courage, daring, will power & leadership. Negative associations are: hate, jealousy, fear, anger, war, ego, conflicts, lightning, volcanoes. Water governs the western quarter of the circle. Its Dragon ruler is Naelyan (Nail’-yon), who oversees the Dragons of the sea, springs, lakes, ponds and rivers. Its colour is pure blue; and it is cold and moist. Positive aspects are: sunset, autumn, the water chalice, compassion, peacefulness, forgiveness, love, intuition, calmness, peace of mind. Negative aspects include: floods, rainstorms, whirlpools, laziness, indifference, instability, lack of emotional control, insecurity. Earth rules the northern quarter of the circle. Its Dragon ruler is Grael (grail), who oversees the Dragons of mountains, land, minerals, gems, and moonbeams. Its colours are clear and dark green and is cold and dry. Positive aspects are: midnight, winter, the wine chalice, ritual salt, dragon bowl, gem bowl, dragon mirror, gemstones, mountains, caves, soil, respect, endurance, responsibility, stability, prosperity, thoroughness, purpose in life. Negative aspects are: rigidity, unwillingness to change or see another side of a problem, stubbornness, lack of conscience, vacillation, earthquakes and slides. The white, black and “special” dragons rule the center of the circle and balance all the other elements into a cool, even grey tone of Magic. Through invocation of these dragons of light and darkness, the Magic User is able to mix a blend of elements that will bring forth the desired manifestation. Some would scoff at the idea of a Dragon of Light, mixing energies with a Chaos Dragon or any other “darkly aligned” Dragon. Unfortunately, those sceptics are usually Role Players; Gamers if you will. The concept of darkness blending with light makes perfect sense to the experienced magic user, just as the concept of “tough love” makes perfect sense to a psychologist. It is the same concept. The Draconic Tradition has Codes of Honor that is followed by all true Dragon Mages. It is followed in magical workings and in everyday life. There are sometimes when we can’t follow the Codes to the exact word, but to completely ignore them would be foolish. Dragons will not work with a practitioner that ignores them. But one, who follows them to the best of their ability, earns the respect of Dragons and will have no problem working with them. 1. In all that you do consider its benefit or harm to yourself, your family, and your Clan. 2. Your duty is always to yourself, your family, and your Clan. 3. Be honest with yourself and others and let them know you will not accept anything but honesty in return. You should always be above reproach or criticism in the eyes of the world. 4. You should always strive to be kind to others, or, should kindness prove impossible, strive always to be just. 5. Give your bond only after great consideration as to how it may affect your duties to yourself, your family, and your Clan. And when you do give your bond it should carry the weight of a signed blood oath. 6. Pledge friendship and your assistance only to those who are worthy and honorable. Work to strengthen those of your family, friends, and your Clan, and they will strengthen you. 7. Do not pass on anything you have not personally witnessed or verified. Never give unproven hearsay the weight of truth. 8. What you have hold. Let no one take from you, your family, or your Clan that which is rightfully and legally yours. 9. The laws of the land should be obeyed whenever possible and within reason for the protection of yourself, your family, and your Clan, for in the main they have been chosen with wisdom. 10. Never reveal the secrets entrusted to you by your family, your Clan, or your friends without permission. Possession of a wagging tongue marks you as a fool. Exceptions to this are when keeping the secret would endanger an innocent, bring unjustified dishonor to another, bring shame or dishonour to your family, your Clan, or friends, allow a criminal to go unpunished, or seriously violate the laws of the land. In this matter let common sense prevail. 11. Never neglect your family, your Clan, or your friends. Have the fierceness of a Dragon in their defense and always be certain they are provided for before starting any endeavour. 12. Offer forgiveness only to those who are truly repentant of wrongs committed against you, your family, your Clan or your friends. And when you offer forgiveness, do so with honesty, for to do so grudgingly is not forgiveness but deceit. 13. Always remember that the fury and excitement of the moment can play havoc with the truth. To keep one’s head in any situation is a virtue. 14. Have respect and honor for all Dragons and the Dragons of the Land. For they will assist you in your endeavors if you do. 15. Dignity, a gracious manner and a good humor are to be admired and cultivated. They will aid you to bring honor to your family, and your Clan. 16. Try always to be prepared for whatever the future may bring. Life with all of its joys, sorrows, and secrets is to be embraced and experienced to the fullest, for this is how one gains wisdom. 17. Respect yourself as a child of the Dragons. Have pride, but not arrogance, in yourself, your appearance, and your position in the Clan. Do your best in all things. Be gracious with self-praise, without bragging, and self-forgiveness when warranted. 18. When you gain authority, use it carefully and with wisdom. Remember that authority will grow with experience, and as a Priest/Priestess of a Clan you should exercise it with care and dignity. 19. Power does not come with authority, but can be given. Be wary of how you use any power given to you, for power over something does not always give you the authority to control it. 20. When your time in this life is done, return to the Dragons, and stand before them with pride, not arrogance. For a life lived with dignity, respect, and honour is one to be prideful of. 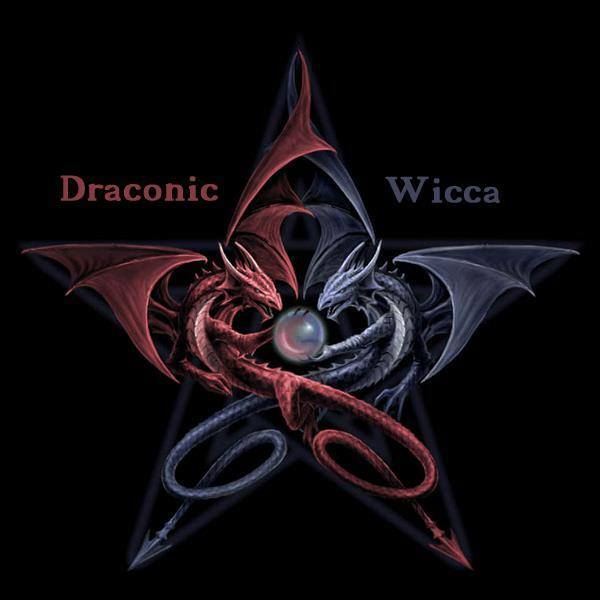 The reason it is called Draconic “Wicca” is because of the similarities to the wiccan religion of today. This religion was originally brought to Earth by the blessed races when Atlantis was formed. The name of the religion itself cannot be pronounced in present English certainly not spelled. This religion was taken away from the Atlantians and Atlantis destroyed. The druids were the descendants of the Old Religion and passed on by mouth. The spirits God: The god is the male half of the ‘divine being’. He has many faces and has known many names. To wiccans, he is known as the horned god, the sun god, and many more. God is not just Father, he is Mate, Consort, Lover, Friend, Brother, Hunter, Husband, Law-giver, and Partner. Goddess: The goddess is the female half of the ‘divine being’. She also has had many faces and many names. Wiccans, druids, and the coven all respect the Maiden, Mother, and Crone aspect of the goddess show in the entire universe. Elements: Each race has its own head keeper of the elements and/or directions. The elements are: Air, Earth, Fire, Water, Light, Darkness and Spirit These spirits are called in to help with specific elements and what the elements and directions can help with different things. Healing would be Earth for example. Many names are used to invoke different aspects of the above spirits. The goddess might be invoked as Bast (Egyptian name) for example for healing and another time Athena (Greek) for wisdom. There is a good saying. “There are many faces of the one god.” However this doesn’t apply for the Red Dragon of other guardians of the elements. This mostly applies for the God and Goddess aspects. The sabbats are more like the old druidic sabbats, which any good reference is hard to find, than the ones that are found in Wiccan religions. The most important thing to know when practicing Dragon Magic is that you’ve got a connection with dragons. You don’t have to absolutely adore them; you at least have to see them, think about them, or just know that they are there. Wanting to be a Dragon Mage is very hard work and should be considered greatly before taking the first step. The first step to becoming a Dragon Mage would be to find your Guardian Dragon. Not all Dragon of Magi have guardians but most do. You can’t spend your days waiting for a guardian to come. Often, you can’t use magic to ‘buy’ yourself a guardian either. If you have one, you’ll know. A Guardian Dragon is not a “puppy dog.” The younger the dragon the more excited he/she usually is to be the guardian of a human, but you must remember that dragons do grow and so do humans. Even the smallest dragons need to be treated with the utmost respect. I have never seen a dragon disrespect a human but I have seen the opposite. The easiest way to find your Guardian Dragon is to wait for them to reveal their presence. If for sometime now you have been feeling energies and witnessing items being knocked over, this can at be your Guardian Dragon. One thing you must remember though is when you do feel a dragon in your house it does not mean that it’s “your” Guardian Dragon. Sometimes it can take years for a dragon to decide to be someone’s guardian. And also, Dragon Magi don’t even need guardian dragons, so just because there is one in your house or one that’s been following you for years, unless he/she tells you otherwise, don’t jump to conclusions and think that you have a Guardian Dragon. Once you have communicated with your Guardian he/she will be your key to other worlds. Most of us can astral on our own, but to find a Dragon Guide we usually need to be allowed in worlds that consist of dragons. 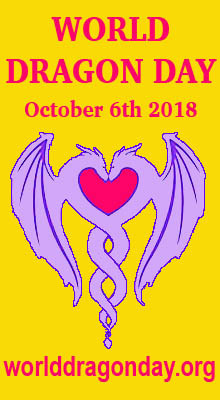 For those who have been in other astral worlds and saw rouge dragons, this could either mean they have been banned and are solitary, or they are guardians of some other being. Dragons are solitary beings, but they do all live together on one plane. There may be other dragon planes, but I myself have only been to the one, so I can only talk from experience. If you can enter this world with your Guardian Dragon you will find yourself overwhelmed with the amount of dragons that live on this plane. Not all of these dragons are going to be your friend so you’ll have to tread carefully. Few people make it to this stage because once they find a Guardian Dragon they think that’s all they need to practice Dragon Magic and become a Dragon Mage. Finding your Dragon Guide is very important to follow the Path of the Dragon. On the astral world you may either feel two things: A force so powerful that you want to cringe, cry and retreat the way you came. Or you’ll feel a faint calling from one of the Dragons. The first Dragon to approach you on this world is most likely your Guide, but don’t assume it just yet. What till he/she announces it. So, you now have your Guardian Dragon, and your Guide, and are ready to start the Path of the Dragon. Your guide will be like a teacher. I have 2 guides. One for magical purposes and one for spiritual. Though I should warn you that the Path of the Dragon is not magical for the first few stages. You must commit yourself to a path of spiritual knowledge and wisdom first. Your guide will set out tests for you just like any other teacher and you will be informed on whether you pass or not. If you do pass you go up a level. If you fail, you repeat. The Path to be coming a dragon mage for the experienced. After being in contact with your guardians and you’ve found yourself a guide on the astral world it’s time to work with the inner self. Like the path of the magician the path of the dragon mage is very similar to start off with. Your guide will help you through this processes. 1. Self Discovery – knowing yourself. This journey can be difficult at times but the most important thing to remember is to be honest with yourself. Without honesty you’ll end up in more trouble than you started with. Self discovery comes first in any magical discipline. Very occasionally a truly exceptional student can define him/herself through the process of learning, but most times you HAVE to learn about yourself first. While I am sure you are exceptional, that very quality should show you why knowing yourself is indeed critical to the process. During this process you should find out what triggers make you behave the way you do. With those triggers known you can start learning the discipline needed to bring magic into your life. Accomplish this and you can start living a magical existence. For example, many entities on other planes of existence routinely use your fears against you. If you come into conflict with them and you are afraid of small spaces and do not know it, or have not over come it, you may perceive yourself as suddenly being trapped in a small narrow space. This can paralyze you with fear, sapping your will to do anything to defend yourself, unable to move, caught in a fit of blind, helpless panic. This is an extremely common tactic. Self-knowledge allows the practitioner to utilize the most powerful tool available. It is not in a spell book, it cannot be bought, although it can be “sold”, it is Will. How can ‘Will’ be sold? Easy, drink or eat to excess, take drugs, do anything that weakens the disciplined life you must lead to be a true dragon mage. When you know yourself, you can use your will to very potent effect. Unless you truly understand what drives you, you will never develop the Will to use Magic effectively. Let me repeat this as it is a most critical point, unless you truly understand what drives you, you will NEVER develop the Will to use Magic effectively. Will is the key to magic. Knowing yourself is the key to Will. Control of the mind becomes easy when these techniques are applied. The mind is not used to discipline. Teaching it is a long process. It takes years. Once applied, the discipline will become second nature. You will gain confidence, self-control, and be able to apply lessons in a useful manner for the rest of your life. If what drives you is selfish that is all right, 90% of the accomplishment in the world are done for selfish purposes. Including the “altruistic” ones. Don’t fool yourself into thinking that you are doing something for someone else’s benefit when your true motive is to get noticed/praised/patted on the back/revenge/one up a rival/ well, you get the point. What is the pleasure/ benefit you receive from your actions? This is knowing yourself, your motives. This is your True Will. Every spell or process you do in accordance with your True Will will be much more powerful and likely to succeed. Doing these spells for any reason aside from your True Will dooms it to failure. 2. Fear of probing the hidden areas in your soul. There will be Trauma in re-living some of the memories and in re-experiencing the actions that caused problems in the first place, but sometimes the only way to heal a deep penetrating wound is to cut it open and let it heal from the inside out instead of outside in. This is a dangerous stage. Many loose their nerve here and go never to return, either into insanity or away from this path altogether. This is not from the study of dark areas of magic, but from remembering past traumas, such as abuse, molestation, and other things. This is a necessary step in order to know yourself. It cannot be avoided. During this time it is advisable to have someone to help you through the trauma associated with these memories. This person can be a concerned friend, a psychologist or a loved one or lover. My wife was my stability just as I was hers. Whomever you choose, they can commiserate with you as you try to deal with different traumas, slap you when you are too self-indulgent and self-pitying and so on. Your “guard” must to be someone you know and trust implicitly. They must also know you well enough not to let you fall into any self-deluding or self-pitying traps. Make no mistake, they will happen. People want to exculpate themselves from blame. 3. Acceptance of the dark self. Most never get here. “Better buried than stinking again,” is the attitude many use to keep from getting here. Learn to live with the scars. Don’t glory in them, but acknowledge that they have taught you something. Coming to terms with your own personal dark side is important. It cannot be ignored. Dealing with the trauma that happened caused by things that happened is something else entirely. Different people deal with memories and trauma in different ways, but you need to learn to recognize when a bad experience is affecting your judgment or actions so that you can break out of that cycle. Until you break out of a particular cycle of behavior, it will continues to affect you in many ways, most notably by setting up the circumstances of your own destruction. An example of this is a person who is married and lying to their spouse about having affairs. The pattern of behaviour can be due to an unresolved problem of the past where the cheater learned that this behaviour is “ok”. Another instance is the person who has learned not to trust anyone to be reasonable or worthy of trust as the result of mistreatment as a child. This is NORMAL. Self-doubt is a good tool to keep from becoming another Napoleon or Hitler. It teaches us. And while self-confidence is a good thing, too much leads to hubris. With two exceptions*, all of us have been trained by society to disbelieve anything that we cannot verify with our five primary senses . While many are willing to acknowledge that there may be other senses we possess, few are ready to come out and say “Yes, I can see into other worlds and interact with the beings there.” Society would brand them as a freak and do it’s best to destroy that person for non-conformity. Since few people are brave enough to withstand ridicule or societal destruction, we learn to ignore those things we can’t rationally explain. Remember, while this stage is normal, it is critical that the prospective Dragon magi advance beyond this stage. Again, a percentage of people will get this far and give up. Part of coming to terms with your self is to look at your confidence problems. Many of us who are attracted to this kind of work have very vivid imaginations. It is only natural that some of us may decide we are crazy and nothing we are experiencing could have happened on this plane of reality. Please, remember, “As you believe, so will it be”. If you believe that you are imagining it all, then you will be. 5. Peaceful Acceptance, of the Dark, and the Light. Inner Peace is a stillness of soul that many would call “steady”. Acceptance of yourself and the wisdom to over come in this area. The concept is self-explanatory. Generally, this is the goal of all magical systems, in which the practitioner finds him/herself and accepts him/herself as s/he is. Because of that acceptance the magician is now self-actualized, at peace and able to love everyone because s/he is no longer dependant upon others for his/her happiness. Able to discover new worlds of connection to everything within him/herself, this is the “gold” that the Alchemists were after. 6. I am no longer a mere mortal, I feel so Olympian and distant from humanity. This is one final phase that some magical practitioners have spoken to me about, and that is disconnectedness with normal people. While it is normal to pity most of humanity and the fact that they do not understand things as you do, and that they MUST live in a world ruled by sorrow and misery instead of in a world of joy and wonder, one must not ever think they are less than us. Healing is a dangerous skill. In order to heal someone, you must first know how to harm him or her as well. THIS IS NOT FOR BEGINNERS. You are mucking around with someone else’s body, mind, or soul. You can do PERMANENT harm to them unless you know exactly what you are doing and why. This is a dangerous stage. The problem here is “I have some training, I can do anything I want and no one can stop me.” Kind of like a beginning student in Martial Arts who is getting an inflated ego. Usually the Master will have to knock them down a few notches to get them to understand that there are bigger and badder things out there. It is believed by many people that it is impossible to go through all these steps within one life time… some of the eldest people are still dealing with life traumas and accepting the dark. The key is to work on yourself while receiving lessons from your Dragon guides. They can see through you and into your spirit so they’ll know the progress your making. The further with these steps you go the further your training as a dragon mage will take you. A lot of these steps are used for a magician as well. It’s always important to know yourself when working with magic. While searching for the sources of some of the above information I found two other articles by Duriel HazelBelisama which I have added below. As most people have inquired more knowledge on guardian dragons I thought I’d write up a little on what I know about them. It would be great if everyone else wanted to write something on how they perceive guardian dragons to be so the people interested can get different views. As always, everything I write comes down to my own experience. I don’t copy what other people tell me about dragons, I just follow the dragons themselves. Other people may work different paths when it comes to dragons, but this is my path. Guardian Dragons can actually vary in size, colour and age. Although most of these dragons are young and small, the larger dragons usually end up being something more than a guardian. When a dragon first contacts us, be it small or large, we usually think, “wow I have a companion” which leads to the conclusion a guardian dragon has chosen to spend sometime with you. There is no way of knowing how long a guardian will stay with you and remain your guardian. 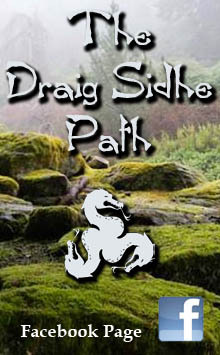 Some choose this path for life, having some sort of connection with a human, maybe from a past life or maybe just because this human appeals to the dragon. If this is so, then you can count on this dragon to always be there for you, but you should never come to depend on it. Coming to depend on your guardian dragon is an insult from what I’ve learnt. The main reason they are here is to give us some added strength in our everyday lives. They want “us” to become stronger, wiser and more knowledgeable beings. Depending on them when every little crisis goes wrong is usually taken with offence that the human hasn’t learnt anything. A guardian dragon will always comfort their human when needed; hugs, kisses and a wide spread of emotions are shared with the two beings. But as the humans grow, so too do the dragons, and the species of the dragon’s starts to dominate rather than the age. All young dragons are happy, joyful and carefree. They possess the knowledge of there past lives as all dragons do, but at that age, it doesn’t matter. They are still wise, powerful and look upon humans with confused expressions on their face. Which is often why they choose to become guardians. Once a young dragon encounters you and becomes a part of your life it’s always fun, but as the dragon grows it becomes more serious. There comes a point were the guardian dragon needs to start listening to it’s true nature. Be that a Fire Dragon or an Earth, they hit this point of maturity. This might take a very long time, or no time at all, depending on how old your guardian dragon is. Personality and characteristic changes usually follow this period but that doesn’t mean the connection shared between the two beings disappear. All relationships change over time, and so too does the relationship between a human and a guardian dragon. This isn’t always a bad change, and can be looked upon as being a growth period for both you and the dragon. When the guardian grows the human grows with it so the shift in the bond isn’t too dramatic. This doesn’t happen with every case of guardianship, as some humans don’t grow. Not every guardian dragon will form a bond with you and will only stay in your presence for a short amount of time depending on how much help you need at that period during your life. It is naïve to believe we will always have that “support” of a dragon. The friendship of a dragon however is one not to take lightly; they are true friends, honest and truthful beings. The most important thing to remember whilst having a relationship with dragons is respect. A guardian dragon will always show respect for a human, even though at times we do not deserve it, that’s just their way. We don’t need to love our guardians, don’t need to depend on them or even feel lower than them. They don’t wish us to feel ‘lower’ they just want us to understand the mutual respect. If you respect your dragon, you will be returned with the equal respect and your relationship with a guardian dragon will definitely take you places. Guardians can help you with magick also, though this isn’t their chosen area. I know many guardians that need to help human’s astral project because some of us can’t manage it on our own. Being this the major talent of dragons, the young guardians enjoy taking humans into other worlds for exploration. Like I’ve already explained, true Dragon Magick can only be taught by a Dragon. Through my practises of Dragon Magick I was given the chance to meet with other Dragon Magi. However apon discovering these others I noticed that the Dragon magick i’d been taught and practising is somewhat different to others. It was then I learnt that my practises of this particular craft are a personal life choice. Most Dragon Magi will explain the practises of Draconian magick is performed in cooperation with a dragon as working together as a co-magicians. However I tend to disagree with this theory. Was called in a ritual to perform a certain purpose. Has taken a liking to a specific human and has chosen to aid this person. As humans we tend to forget the magnificence and benevolence of these beings. They DO NOT just hang around in an Astral plane waiting for a human to “call” them in rituals. They do in fact have their own lives to live and can manage quite fine without humans interfering. When a Dragon chooses to form a connection with a human you can assure that it is a life long connection. It’s common that this type of Dragon is usually a Guardian Dragon. They are often young Dragons and haven’t had much experience with humans. I had the privilege to encounter a younger dragon who’d never seen a human before. It was easy to see the excitement in her eyes. The Guardian of the Gate between worlds is the Dragon. The souls of men whose consciousness is attuned to consensus reality and held there by bonds of belief and emotion. The Dragon Gate is made of spirit and energy joining together. If you can unite desire and reason, then the way to the Mysterious Pass will be opened. The Gate is hidden from the average man by a veil of intensity, energy vibrating at a higher speed than we are used to perceiving. Changing the focus of our consciousness activates unused energies within us, giving us the increased energies necessary for walking the worlds. The Dragon guards the Gate against the unworthy, and the “conquering” of the dragon by Sages, Prophets and Saints is an indication that they have passed the guardian. The entrance to the gate my take any form such as a tunnel, a bridge or a wall of fog. The Guardian sometimes separates into two overlapping forms which coalesce back into one, showing forth the Great Mystery of entering Eternity. ATEA ORAIN IRIKIA DAGO. NI IRTEN NAITEKE. 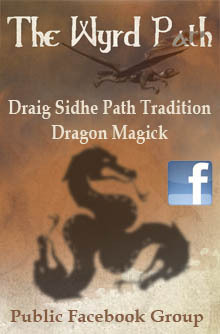 This entry was posted in Dragon Magick and tagged Draconic Wicca, Dragon Festivals, dragon magick. In the last few years i have only heard of “Tiamat” as the Babylonian goddess/mother of dragons as Ummu Hubur. Will take some notes and look around. Never heard of Tiamat referred to anything but Ummu Hubur, nice overall. In researching and journeying to the otherworlds for my book, I have found a lot of interesting info on the dragon and their correlation with the horse energy. Both are symbolic of resurrection. One book I found very enlightening was Return of the Serpents of Wisdom by Mark Pinkham. I have always guessed that like most of our Gods/Godesses the dragon too is otherworldly and is refered to have originated from Sirius B. I just went through Dolores Cannons Quantum Hypnosis Therapy and in my session with the superconscious found that to be true. hi I have recently discovered draconic Wicca and I was wondering if there were any books to read so I could understand the practice further and from what I have leaned is that this particular practice is intense and since this is my first time in the craft should I ease into or slowly work my way into it? My advice would be to learn, practice and understand as much as you can about magic, witchcraft and paganism in general before you try to work with Dragons. The Draconic Path is not for beginners. You need to already have a good understanding of your path and be proficient in setting up sacred space (casting a circle), and have developed your own connection or relationship with deity. There are many, many good books about Wicca and Witchcraft which will guide you through the basics so it’s really up to you as to which ones you choose to read. However, I would recommend Christopher Penczak’s books (he has written many so if you’re on a limited budget, borrowing from a library might be your best option) especially “the Temple” series of books for his thorough explanations about witchcraft and how things work. Once you have a thorough grounding in magickal practice you’ll find it much easier to begin your work with Dragons. Books on Draconic Wicca are few and far between — the most well-known would be those by D.J. Conway, which seem quite Wicca-based, and by Parker Torrence, which while compatible in it’s methods is not strictly Wiccan (see my page on Dragon Books). You could also read the various articles I have collected in the Magick & Dragons section of this website. 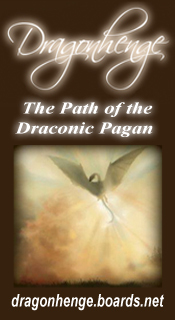 The more you read about “the Draconic Path” the more you will see that there are many different views on what it is and how to practice it! After so much reading and trying out various things you’ll eventually get a feel for what works for you and what doesn’t. Most of all, enjoy the journey! I hear my Star Dragon talking to someone, anyway it was a nice article I had to take a break from reading it because my eyes couldn’t take the italicized letters. Is it normal to have another dragon, BEFORE a Guardian Dragon finds you? If not have I done something wrong?